Organizations don't have to limit themselves to one cloud. In fact, using multiple clouds together to support the diverse data storage and access needs of various departments and user groups is often more beneficial for workers and IT administrators. Multiple clouds give companies the opportunity to better protect their data. When it's dispersed across different vendors' clouds -- and even an on-premises one -- a failure in one cloud won't shut down the whole business. That said, it can add a layer of complexity for IT administrators to manage multiple clouds. Automation and orchestration are key to keeping the workflows for cloud admins running smoothly and ensuring users' access to the data they need to do their jobs. Luckily, there are multi-cloud automation tools on the market to make it easy to manage multiple clouds. But admins need the skills to use the tools correctly. Whereas familiarity with Microsoft and Cisco systems were all IT pros really needed to administer a cloud in the past, today, admins need to know how to use orchestration and automation tools to manage multiple clouds. And securing multiple clouds is still an ongoing concern. 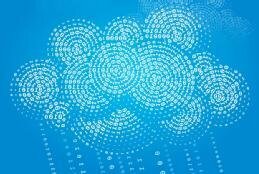 Keeping parts of a data set in disparate clouds can stop hackers from gaining access to a usable volume of data, but admins are responsible for securing all those clouds. Even with orchestration tools, that's not necessarily an easy task. To get started with a multi-cloud deployment, learn the benefits first. Then get to know orchestration tools and security considerations, and you'll be well on your way to delivering and managing multiple clouds.